​Former Liverpool legend Jamie Carragher has congratulated the Reds for tying Trent Alexander-Arnold down to a new 5-year deal until 2024. The 20-year-old defender has established himself as the club's first choice right back since breaking into the starting eleven in 2016, making seventeen Premier League appearances this season. 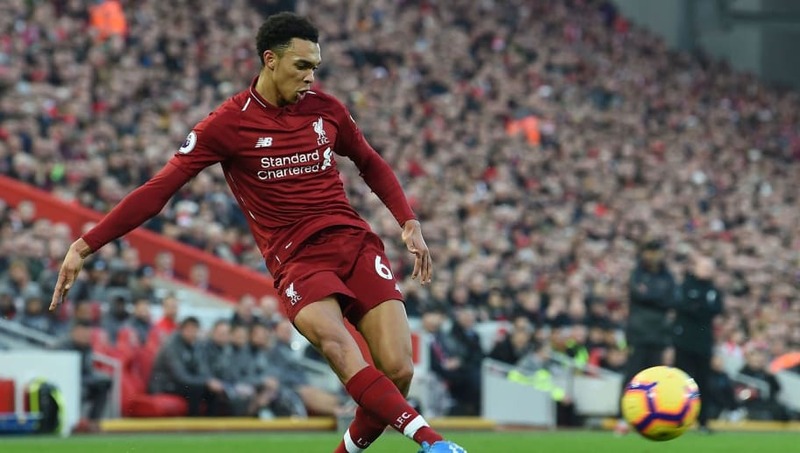 Alexander-Arnold's outstanding levels of consistency over the past six months has helped ​Liverpool top the Premier League standings whilst he has also regularly featured for England and was part of their 2018 World Cup squad that reached the semi-finals of the competition. By signing up the youth academy graduate, manager Jurgen Klopp has secured contracts for two of his best defenders in as many weeks with left-back Andrew Robertson also agreeing a new deal. Speaking to ​Sky Sports Carragher praised Liverpool for investing in the future of the club, admitting: "It's brilliant news. It's not just Trent [Alexander-Arnold] it's Andy Robertson as well. "I think if you think of Liverpool's best 11 or 12 players, all of them are under contract for the next three or four years. "This season, whether Liverpool win the league or not, there'll be a basis of a team going forward over the next three or four years that can be successful." ​Alexander-Arnold's meteoric rise for the Reds last season was capped off by an appearance, albeit in a losing effort, in the Champions League Final against ​Real Madrid, a game which Los Blancos won 3-1. Saturday's 4-3 victory over Crystal Palace at Anfield saw the Reds move seven points clear of second-placed ​Manchester City who have a game in hand over their Merseyside rivals. If Liverpool go on to win the Premier League title, it will be their first top flight triumph since 1990 having previously come close in 2014 under then-manager Brendan Rodgers.